Sin City – Ghana Agboloshie electronic waste disposal base _ PCB recycling machine,cable wire recycling machine,E-waste recycling plant,precious metal refining machine system,E-waste shredder,plastic and metal recycling production line,copper electrolysis system-Zhengzhou Zhengyang Machinery Equipment Co.,Ltd. Agboloshie near in Accra Ghana’s capital, the locals called “sin city”. Here was originally a nearby lagoon of wetland, inhabited by more than 40000 people, mostly for migrating north of poor areas, They work to deal with electronic waste. According to the survey found that developed countries will be millions of tons of e-waste shipped to Ghana, no recycle, and it is here. The ghanaian government governance, early in 2003 began to plan to Agboloshie area residents move, ecological restoration, but have been protests, slow process. 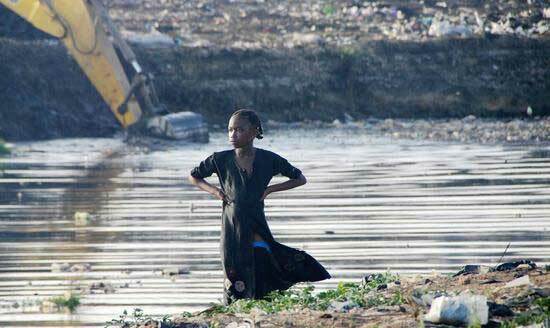 In 2015, the forced demolition residential areas triggered large-scale conflict police and residents, then ran aground. Cut off e-waste processing industrial chain, many problems.